Is Customer Empathy the Key to Good Customer Support? Customer empathy is something of a polarizing topic for user experience and CRM experts alike, and it’s not surprising when you look at the nature of empathy as a whole. Empathy is different from sympathy in that empathy is genuinely feeling and understanding the feelings or plights of others, where sympathy is merely feeling remorse for the unfortunate situation others find themselves in, but not feeling their same sorrow or distress. This is important to bear in mind, because sympathizing with customers when an issue or desire is brought forward is therefore not the same thing as empathizing with one. 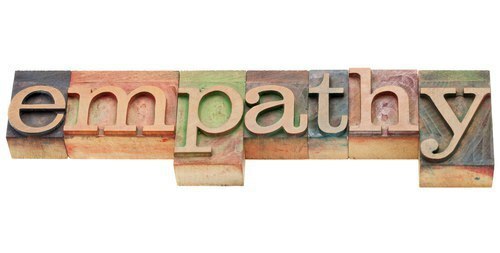 So, what exactly does customer empathy entail? And why is it such a polarizing topic? Well, quite simply, empathizing too strongly with a customer can result in compromising the integrity of a business, and can result in some levels of nepotism and favoritism with customers, which is absolutely disastrous in the long run. A customer may in fact be making irrational demands, or impossible demands within the terms of service and policy of your company. While it may in fact be unfortunate that this customer is experiencing duress due to these conditions, empathizing too strongly with them in this scenario may prove unproductive for your company, and may in fact upset other customers who are also displeased with the situation, but do not complain otherwise. On the other hand, though, a total lack of empathy for a customer can result in poor CRM altogether. So many companies in modern times are guilty of having no customer empathy whatsoever, and customers will often be turned off by their seemingly robotic, uncaring CRM staff, and it can cost a lot of business. In truth, some small quanta of empathy is useful during active customer service practice, but it must be closely monitored and controlled, to avoid that unfair lack of balance mentioned earlier. A seasoned CRM professional will know by reflex exactly what the right amount of empathy is for this. Sometimes, one has to stand their ground (civilly of course) with customers and simply point out they are being irrational. The customer is actually not always right, unfortunately, and it can be either very difficult to tell them this, or all too easy, and neither of these is going to end well. In truth, the best place for significant customer empathy is when designing terms of service, and customer service systems and procedures from the ground up. When designing how your CRM terms and procedures work, empathize with what a distressed customer may be feeling, when regarding all of the problem contingencies your UX professionals have foreseen up to that point. Understand how they feel, and why they need solutions to these problems. Understand how they may feel when solutions are offered or declared impossible by your CRM professionals. It is in this stage that empathy is key, but it is actually a bit less helpful during the process of active customer service. So, hopefully we can put the debate about customer empathy to bed once and for all.